Zone 12 is hosting the Parade for 2019 – and we’d love to see you there! It will be held at the Boca Raton Resort and Club, a Waldorf-Astoria … and the room rates will be very reasonable for this luxurious resort. 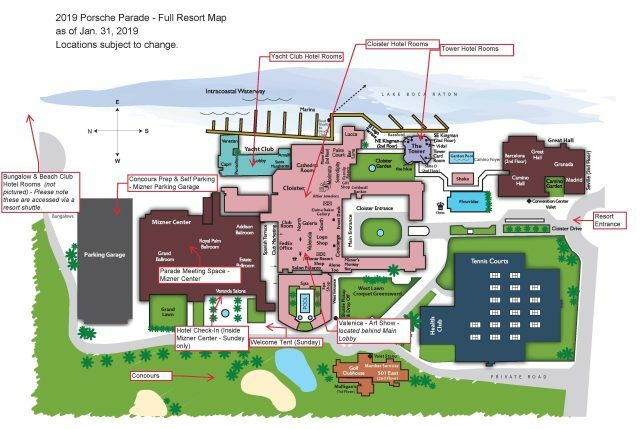 In early 2019, we’ll have complete details, and registration for the hotel and for Parade will be open then. In the first week, more than 700 people registered! The other big Parade date to mark is Monday, April 15. This will begin Phase 2 Registration, when you’ll be able to pick the events and banquets you want to attend, as well as register as a Volunteer. Thanks to everyone who’s reached out about Volunteering at Parade and to those who are helping us with the pre-planning! THE ONLY OFFICIAL WAY TO VOLUNTEER IS DURING THE PHASE 2 REGISTRATION. During Phase 2, when you register to Volunteer, just pick the specific role you want – such as tour lead or sweep; tour staging; concours; autocross, etc. After you pick the options you’d like to help with, the Parade Volunteer Coordinator will assign you once you’re at Parade. No experience needed – all you need to volunteer is a good attitude and a welcoming smile! NOTE: Volunteers must be registered for Parade. So, plan now for your 2019 summer vacation to be at Parade in Boca.In case you’re not familiar, it’s a beautiful part of Florida: on the Atlantic, just north of Fort Lauderdale, with July’s comfortable sea breezes and summer temps in the high 80s. At 2018’s Parade, there were about 900 Porsches and almost 1,800 attendees. It took 40 year-round Volunteers and more than 700 on-site Volunteers to make it happen. For 2019, we’ll need 100s of Volunteers as well, from all over the country, and there will be an official Volunteer Registration process. 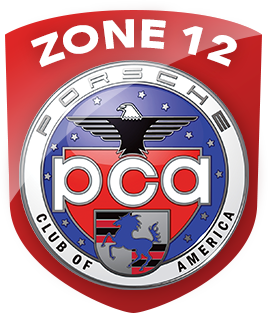 But if you’re interested in helping on the front end, by providing local expertise and help with planning Tours, Rallies, and all the other events, please let your Region Leadership know now or email zone12rep@pca.org. We’ll see you at Parade 2019! 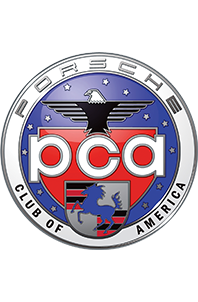 Porsche Parade is the “big” Porsche Club event of the year: our annual national convention. Parade has a wide variety of activities and club members from all across North America (and elsewhere!) 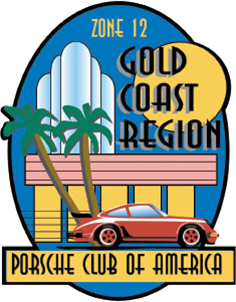 come together for this once-a-year extravaganza to participate in a week of competitive events, to socialize and enjoy their cars, with seminars and tours adding to the event’s variety. For many club members, Parade is their big vacation for the year. It provides them with an opportunity to see new parts of the country as well as to visit with PCA friends that they only see once a year, at Parade! The registration entry fee ($200) covers the “entrant” and “co-entrant” (there are additional fees for children, JPP, CAFP and Adult Guests). This fee helps to defray costs for general overhead, on-site/off-site/venue rental fees, signage, audiovisual equipment, name badges, Parade Bag (collectible pin/patch), car entrant numbers, printed materials, security, car wash areas, bottled water at various venues and trophies. 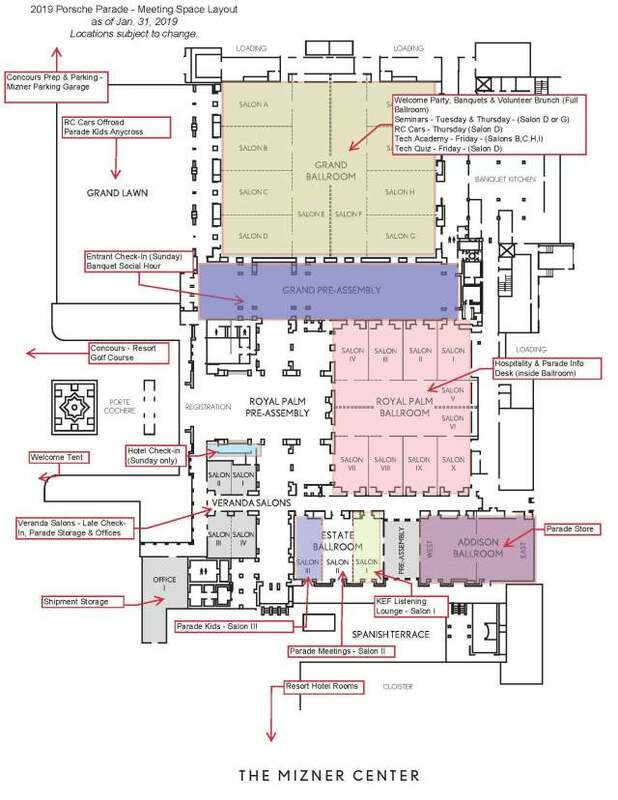 It also helps with the cost of Hospitality during the week (offers beverages and light snacks during the day), Ice Cream Social, Seminars, Tech Academy, Art Show, Radio Controlled Car Events, Welcome Tent and some Parade Kid activities. Additional fees apply for banquets and selected events.